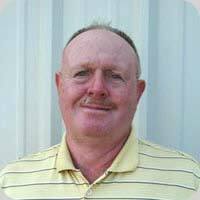 Ron is the founder and owner of Carefree Exteriors Inc. He does estimation for siding, windows, sunrooms, and screen rooms. He also schedules installations and service as well as oversees all the day to day business activity. Ron brings with him years of Construction knowledge and management. He was a store manager for Lowes Hardware in his early years before starting his own Construction Company. In Rons time off, he enjoys golf and spending time with his grandchildren.